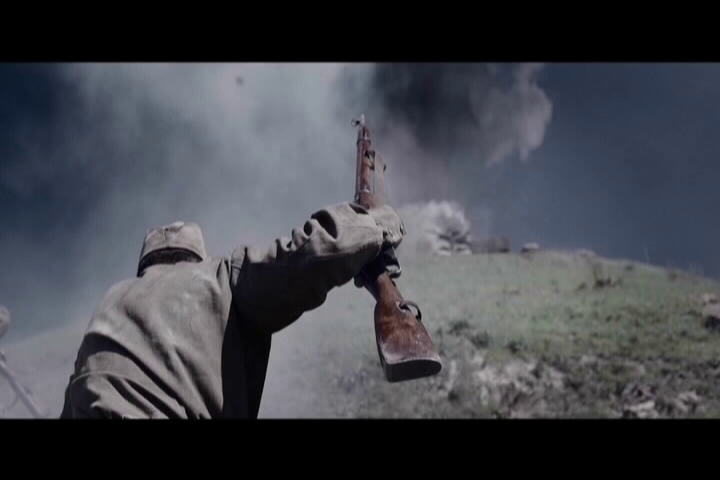 The 2015 film Battle for Sevastopol (Bitva za Sevastopol) follows the life of historic character Lyudmila Pavlichenko as she has her life and future forever altered by the outbreak of the Great Patriotic War. Essentially – if we cut through all the cultural rubbish of elevating Russian female warriors to some mythical level – the film documents how the Soviet machine made a publicity tool out of a tough young lady. The story documents many struggles in the life of the heroine, but most obvious (perhaps unintended), is a deep struggle with the character’s femininity seeking to overcome her Soviet-imposed status as merely a human resource. She becomes a pawn in the deceptive propaganda machine that the Soviets so commonly employed to show how glorious a life could be while living under its jackboot. Lyudmila tells her story as a guest of the U.S. first lady and is paraded out into various PR situations. She is clearly uncomfortable by her role as a pawn, and struggles to obey her political handlers. U.S. First Lady Eleanor Roosevelt (herself portrayed accurately as a communist sympathizer) is represented as an annoying but well-meaning woman who, ironically, repeatedly tries to ’empower’ Lyudmila’s femine side. While doing so, she highlights the lack of true femininity that is so lost in the fog of Soviet thinking. I doubt this was the film maker’s intent, and its doubly ironic given Roosevelt’s ‘progressive’ slant that glorifies most things Marxy. The actress is a native English speaker (played by Joan Blackham), and her voice is annoyingly condescending as a Democratic first lady’s ought to be. Other actors in the film who play English speaking characters have been criticized as being terrible voice actors, but give them a break, they are Russian actors who worked hard to learn the lines, spoke them well enough, and are at least not stooping to speaking Russian with an English accent. The English was a nice touch for English speakers. The film is very well made and production value is generally up to par. Some of the characters are difficult to form an emotional bond with (including Lyudmila, which is too bad, given she’s the main character). The love stories that run through the film are intriguing, love always is. The final act of self sacrifice caught me off guard, and it was carried out by the least expected character (no spoilers). It was satisfying and redeeming. There are some very well executed aerial combat scenes that, while a bit romanticized and overly fast (aren’t they all), are beautifully colored paintings and screen grabs from the sequences look like artwork. 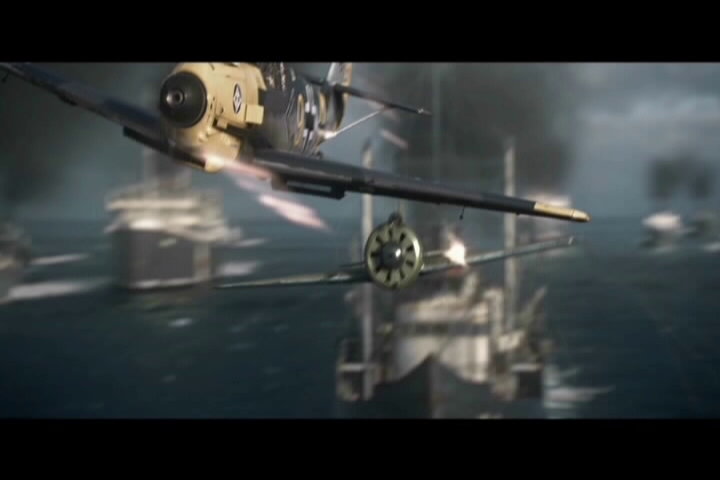 And its always a good day when a Polikarpov downs a Messerschmitt. 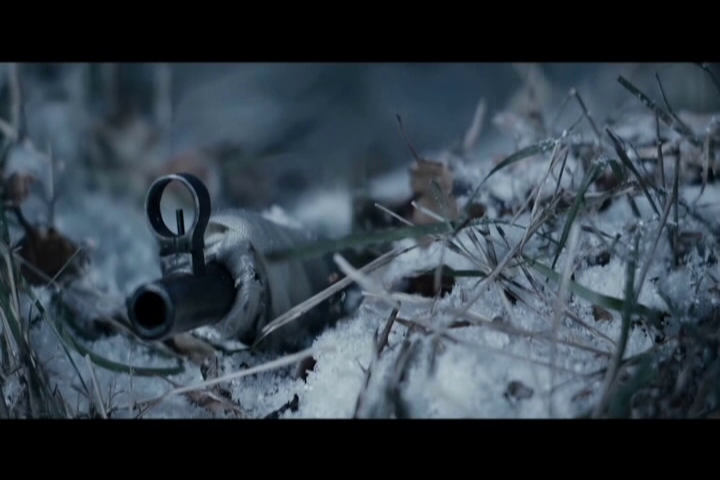 If you are into war films for weapons and gear, this one has plenty of Mosin Nagant rifles, and they try hard to keep them period-accurate, though some post war examples are present, even in close up scenes. But for a legendary sniper, Lyudmila’s handling of the rifle is pathetic and clumsy. Clearly she’s just a 21st century actor. If you are going to focus on the story of a skilled sniper, train the actress and learn a little about shooting from concealment.